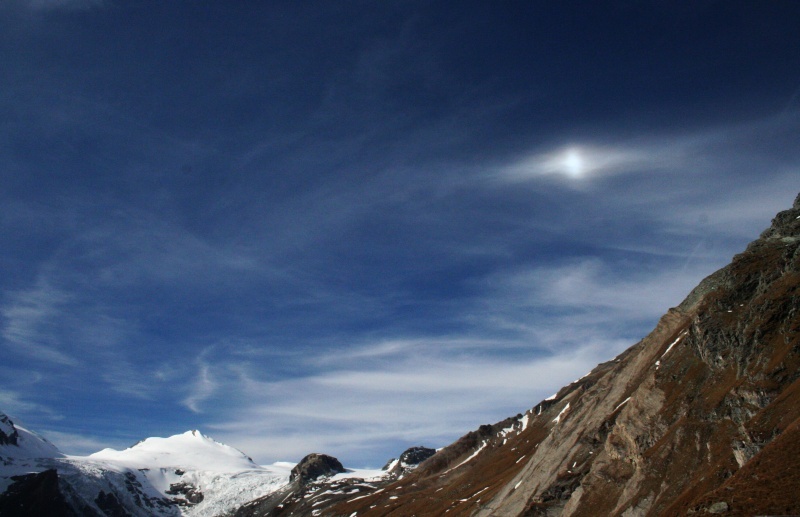 On October 9, 2007, my husband and I made a trip to Austria to visit the highest mountain of that country, Mt. 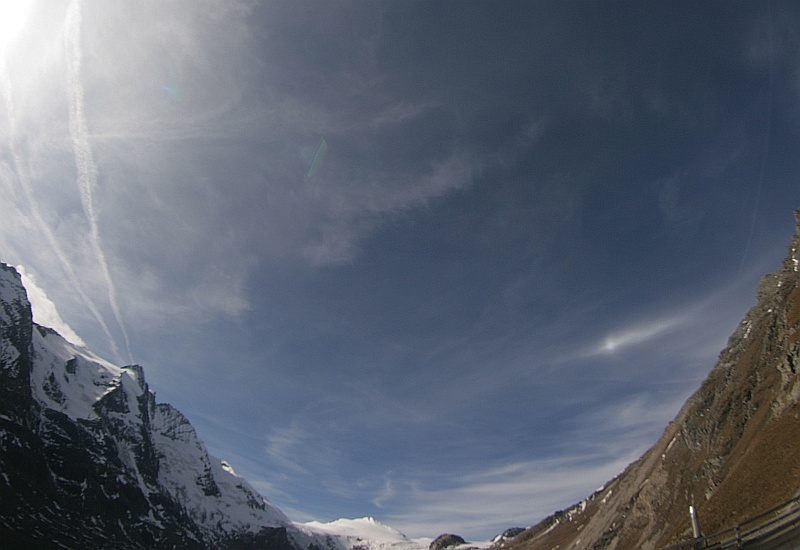 Großglockner (3798m). 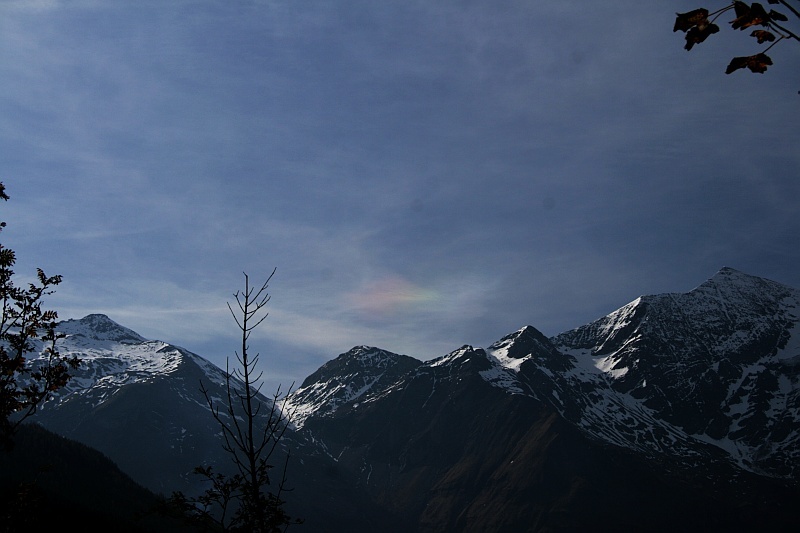 The main ridge of the alps gave a warm welcome to us with a bright and diffuse fragment of the infralateral arc. Just a little later, at a sun elevation of 33.4°, a sharply defined Parry arc formed directly above the upper tangent arc. There were only few occasions that we saw it in such a brightness before. 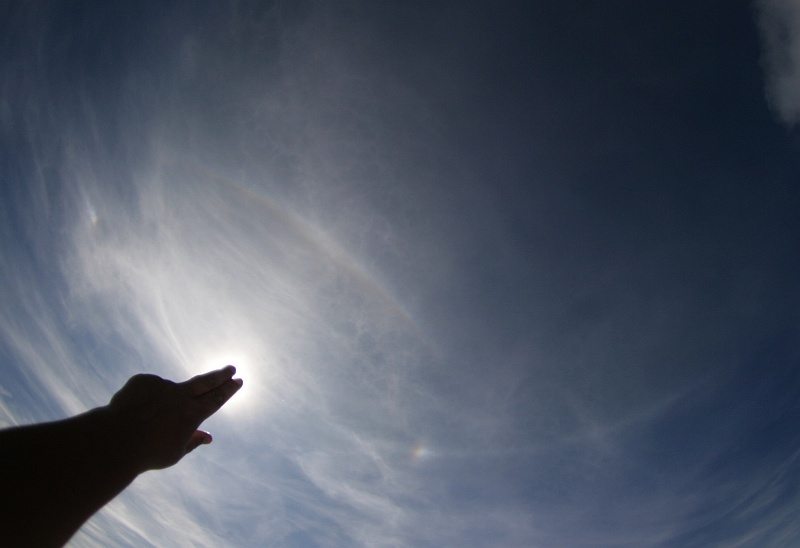 The beautiful halo display was completed by sundogs and an almost complete parhelic circle (with unsharp mask). Even the heliac arc seemed to be present, as we both recognized it. The cirrus clouds, however, showed a very striated structure, so it cannot clearly be identified in our photographs. 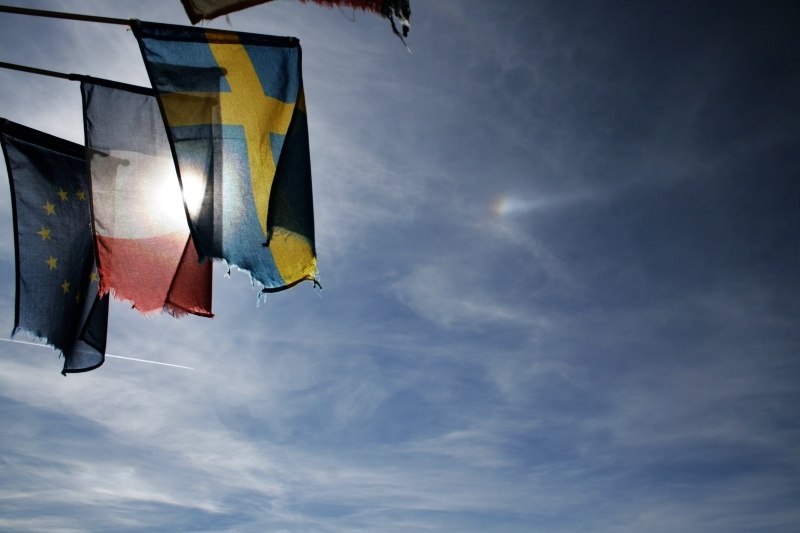 In the afternoon, at a sun elevation of 30.9°, a fragment of the parhelic circle appeared in a narrow cirrus fiber together with a bright 120°-sundog. This sundog not only had a greenish and reddish rim, but also showed a striking vertical extension from time to time. Below it there seemed to be kind of cross-formed arcs like those which normally appear around the anthelion only. 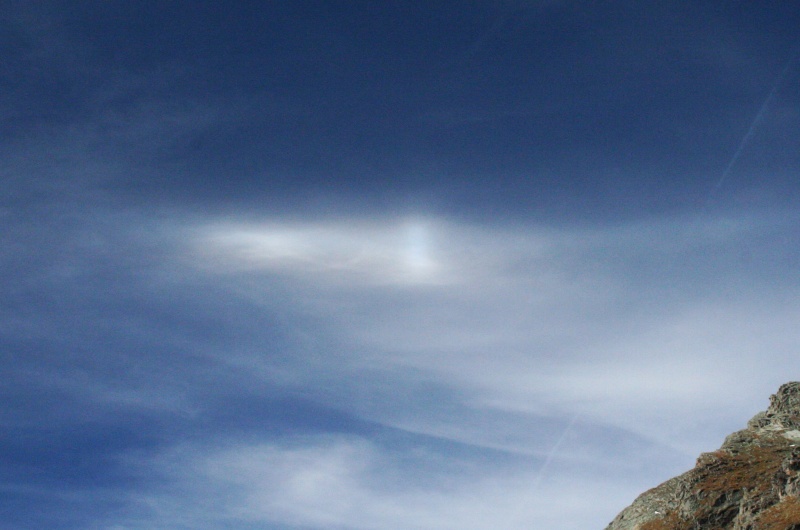 A cross through a 120 deg parhelion can be generated by Lowitz oriented ice crystals. Thanks for the information. This sounds very interesting. 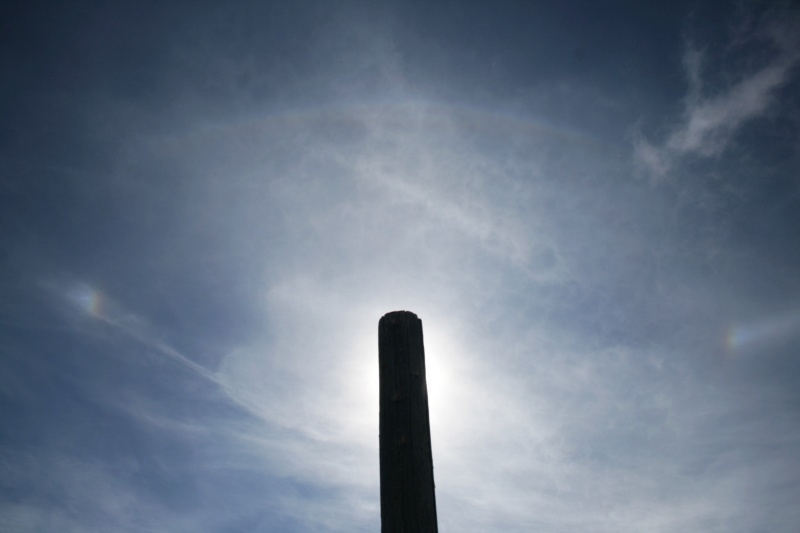 Do you have a simulation of the cross through a 120deg parhelion?